We know that you are looking for Teneligliptin Tablets since a long time as very few companies (especially PCD Pharma) companies have it. But now your search ends here, Trumac Healthcare under its umbrella of Cardiac-Diabetic Products have launched another gem recently to treat Type 2 Diabetes. This drug was invented by Mitsubishi Tanabe Pharma in 2012 and launched by Daiichi Sankyo in Japan. What is the need of Teneligliptin? Before understanding how Teneligliptin treats Type 2 Diabetes, let us first understand what actually is Type 2 Diabetes. Type 2 diabetes (also known as non-insulin dependent diabetes or adult onset diabetes) is a disease in which the blood glucose levels in the body stay consistently above normal. Insulin is the hormone which regulates blood glucose levels. Insulin is produced in the body by the pancreas. It regulates glucose levels in your blood by numerous mechanisms. In case of diabetes, the body may have a deficiency of insulin or resistance to action of insulin at the tissue level, or both. Dipeptidyl peptidase-4 (DPP-4) inhibitors have recently emerged as a new class of antidiabetic that show favorable results in improving glycemic control with a minimal risk of hypoglycemia and weight gain. Teneligliptin, a novel DPP-4 inhibitor, exhibits a unique structure characterized by five consecutive rings, which produce a potent and long-lasting effect. Teneligliptin is currently used in cases showing insufficient improvement in glycemic control even after diet control and exercise or a combination of diet control, exercise, and sulfonylurea- or thiazolidine-class drugs. In adults, teneligliptin is orally administered at a dosage of 20 mg once daily, which can be increased up to 40 mg per day. Because the metabolites of this drug are eliminated via renal and hepatic excretion, no dose adjustment is necessary in patients with renal impairment. Why should you Sell Teneligliptin ? Now this is the biggest question. Why should you focus on selling teneligliptin 20mg tablets? What’s in it for you? Before answering that let us see how well it is doing in the Indian Market. Teneligliptin, an anti-diabetic drug launched a year ago by Glenmark, has emerged as the preferred line of treatment for Type 2 diabetes because of its price and several pharmaceutical companies are now scrambling for a share of this market. The overall gliptin market is growing at 40 per cent a year but teneligliptin is growing at 90-100 per cent. In just around one year India has 34 brands of teneligliptin by 30 companies, and brands with a combination of teneligliptin and metformin number 23. While the other gliptins, including Vildagliptin, Sitagliptin, Linagliptin and Saxagliptin, cost Rs 40 a dose, Teneligliptin, a Japanese molecule, costs Rs 10. Variants cost Rs 6-10 per dose. Teneligliptin’s turnover has grown to Rs 19 crore a month, against Rs 17 crore for Vildagliptin, among the oldest gliptins launched in 2007-08. An executive with an Ahmedabad-based pharmaceutical company said in March teneligliptin and metformin had a turnover of Rs 2-3 crore a month. So teneligliptin is a relatively new drug in Indian Market and very few companies are manufacturing it right now. This is the best time to sell this drug in Indian Market from the perspective of growth and profitability. 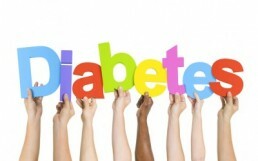 Trumac Healthcare has a wide range of Anti-Diabetic and Cardiac Products Available. Please click here to see the complete range.